If you’re coming to Santa Fe – bring the kids, there are many unique adventures to keep the whole family entertained year-round. With spring break coming up in March, here are some suggestions for fun things to do with kids and families. You’ll find some freebies and discounts for kid activities too. First, contact me for your free map, if you’re within the U.S. Email Maria@santafeselection.com and request your Mini Guide Map, include your full mailing address and I will send you the best, easy-reference Mini Guide. It offers three maps showing all you need to acquaint yourself with the best of the area: Native pueblos, points of interest, historic downtown, Northern New Mexico and the major streets through Santa Fe, unique shops, top restaurants, galleries, museums, and more. Many Santa Fe hotels offer a “kids stay free” or various freebies for kids of a certain age. During spring break from March 1 to April 21, more offers crop up. There are some age range restrictions, and some date restrictions that apply to each location, so it is best to check each location’s link listed in our Lodging Category to find what works best for you. If you have questions about where would best suit your party’s needs and budget, just email me at Maria@santafeselection.com or call (505)470-2991. Our special Santa Fe Selection discounts apply year-round, subject to availability, and you can click to the hotel website to get the special discount and book directly without any third party fees! And now to the fun things to do with the kids. 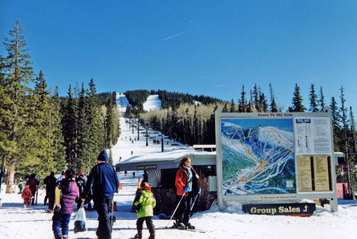 Ski Santa Fe has classes and runs for kids and beginners, plus blue and black runs for the skilled skiers and boarders. With four distinct seasons, Santa Fe offers excellent outdoor recreation, from skiing, snowshoeing, hiking, biking, off-road Jeep and Pinzgauer tours, and horseback riding, to whitewater rafting, paddle-boarding, kayaking, rock climbing, fly fishing — you name it – we’ve got it. Click the links for the top recommended outfitters and adventure professionals who will help you create memories for a lifetime for your family. Santa Fe Mountain Adventures offers a wide variety of kid-friendly activities and tours. What kid doesn’t like playing in the mud! I recommend contacting Ginny Zipperer for some family fun in her Santa Fe Clay Play pottery studio. You can create a family memento of your visit. Pricing is very reasonable, and Ginny will fire, glaze and mail it to you. She will let you know her pricing for your particular group. Be ready to play in the mud and make a fun mess in the process. 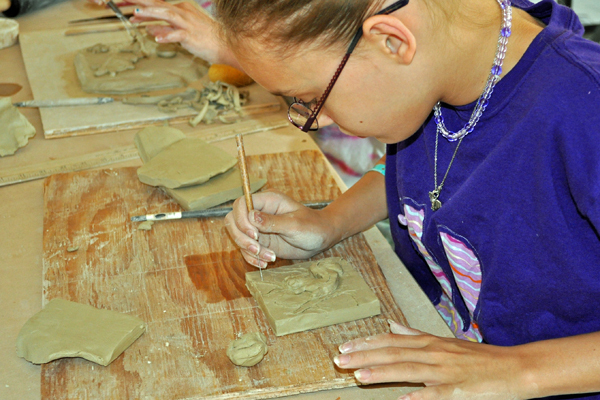 From tiles to vases, and more, it’s a fun time with clay. Lauren Mantecon welcomes kids into her Art Alchemy Studio, with accompanying adult. Get messy and creative with mixed media and paint. It is best to contact her for specific pricing for your party’s activity. 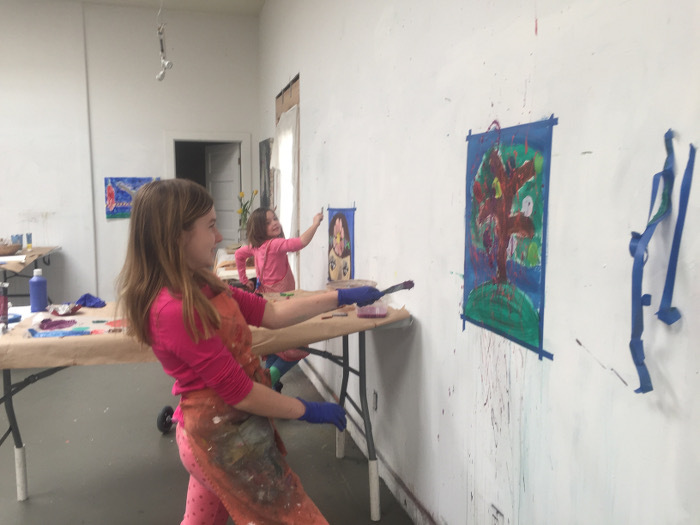 Lauren Mantecon’s Art Alchemy Studio where kids get loose and create. 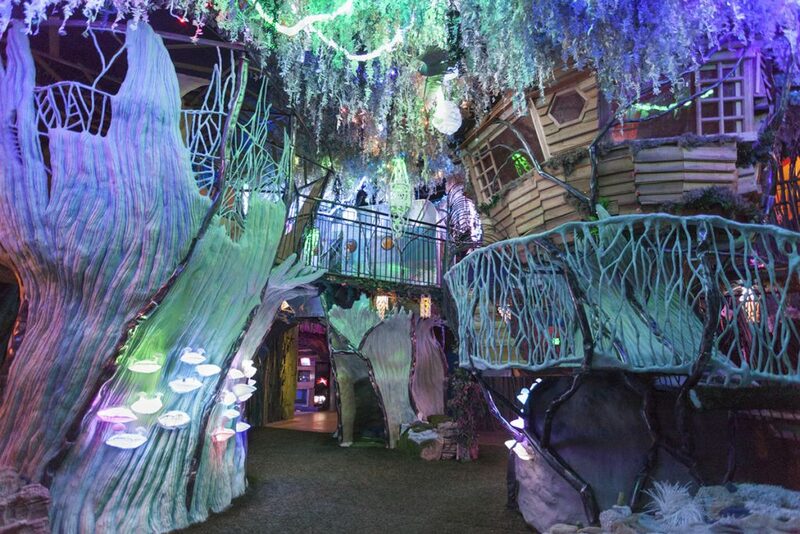 Most kids worldwide have heard of Meow Wolf’s House of Eternal Return, and coming to Santa Fe means a definite stop there. For discounted tickets for the family to Meow Wolf, contact Maria@santafeselection.com. Kids age 3 and under are free. Explore this amazing interactive combination of jungle gym, fort, museum, and interactive art exhibit. It will transport you into fantastical realms the whole family can enjoy and be inspired by. Meow Wolf is fun for all ages. After spending a few hours at Meow Wolf, you can walk a few blocks to the Art of Chocolate – Cacao Factory and Cafe, and enjoy some tasty discoveries in the world of bean-to-bar chocolate, truffles, elixirs, and coffee creations. 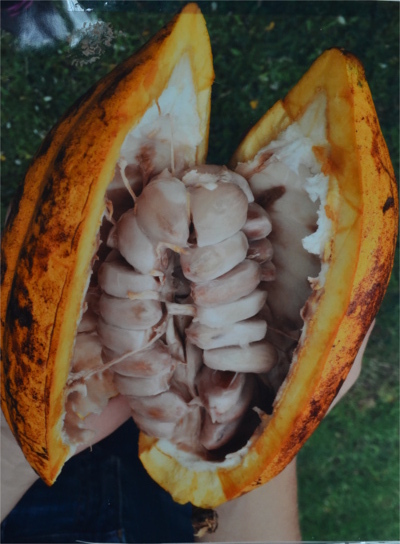 They also offer tours and workshops for families that involve learning how chocolate is grown and produced, and you can make your own yummy creations. This year, during the spring break from March 1 to April 21, Art of Chocolate – Cacao Factory and Cafe is offering a free child’s tour (13 and under) with a paying adult. This year, they also have two other spring break Kids Free specials. This amazing alien-looking pod holds the magic nibs that turn into the delicious treat we love! First is the Family Chocolate Experience. This is perfect for the younger kids ages 5 to11. Learn about cacao, make your own bar and wrapper and learn a Mayan Folk tale about cacao. Each child must be accompanied by a paying adult. The kids free special is for up to two participating adults and two free kids. 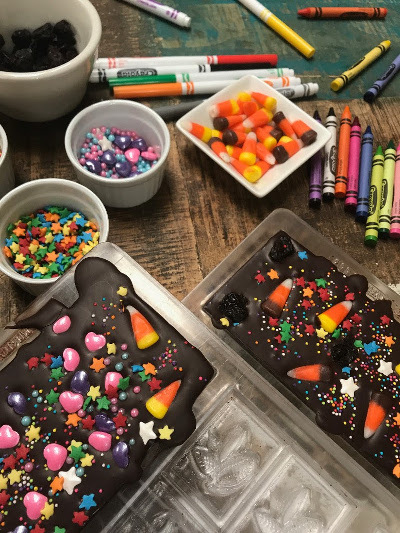 Kids can create their own treats at Cacao – Art of Chocolate Family Chocolate Experience workshops. The second special is for the two-hour workshop, Food of the Gods. This is suitable for kids age 8-16. The offer is for one free child per paying adult. To book and for the calendar schedule of tours and workshops, click here and go to the Book Online Now link. Hands-on Family Class at Santa Fe School of Cooking. 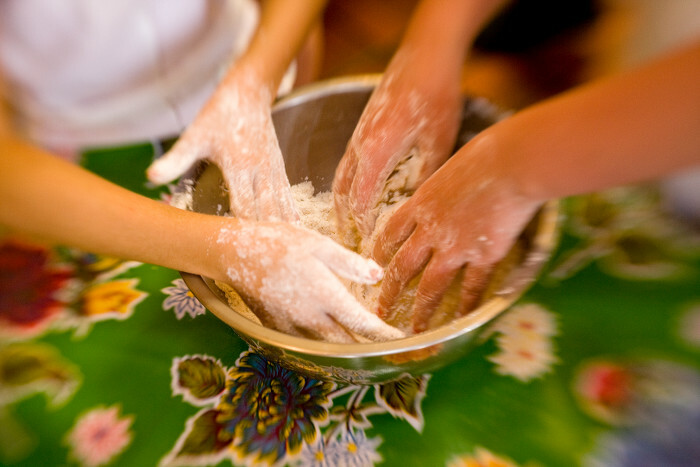 Santa Fe School of Cooking is a great way to come together as a family and play, create and eat. With many options of cooking classes, your family can get busy with a professional chef, create authentic New Mexican specialties and enjoy a delicious meal. Click the link for schedule and rates. Depending on the activity, some discounts apply for children of a certain age range. Most people are familiar with escape rooms, and some travel to different cities just for the escape room experience. 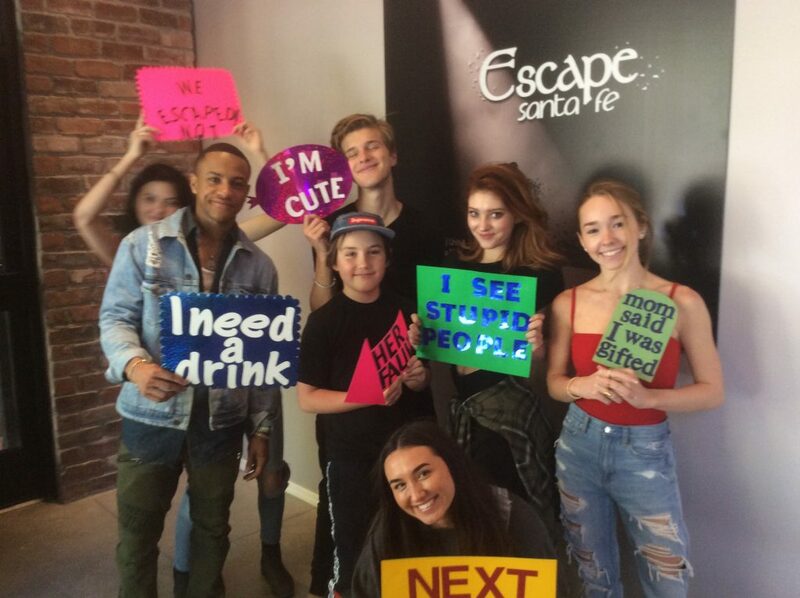 For some super fun code-breaking, espionage and intrigue, the Santa Fe Escape Room offers mind-bending challenges in cracking the clues to securing your escape! A recent crew who didn’t quite make it in time, but enjoyed the challenge. Recognize anyone? This is recommended for the older kids ranging from 16 and up, and must be accompanied by an adult. Three differently themed rooms hold the clues that you must find and crack in order to escape in time. This is highly recommended for teams, friends and family-bonding. 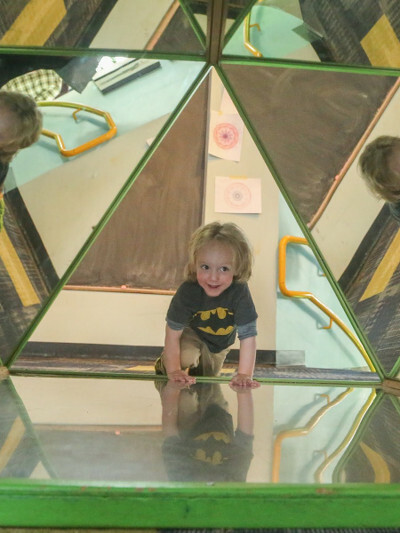 When I was a kid, the word “museum” didn’t conjure up the idea of fun, but in Santa Fe there are quite a few one-of-a-kind museum experiences that will change your kid’s perspective in many ways. 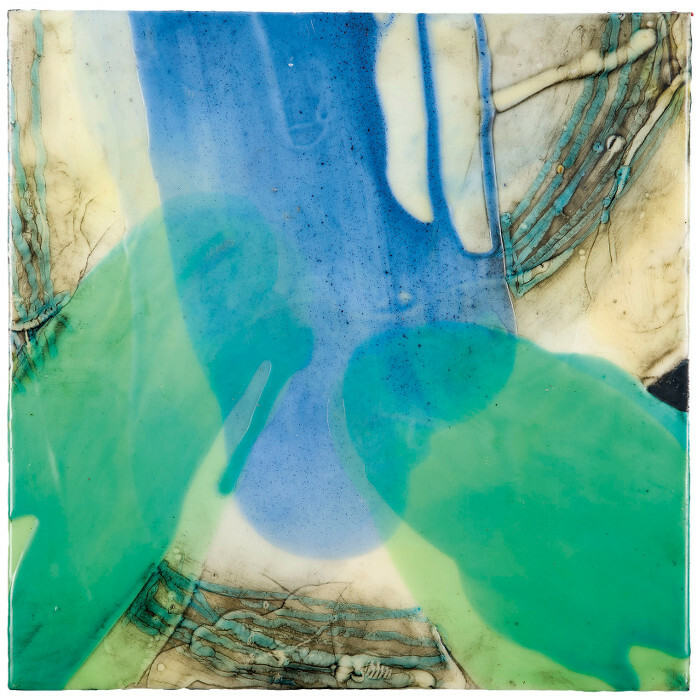 From ancient beeswax to the modern crayon, encaustics are a terrific medium to explore. I recommend spending some time at the Museum for Encaustic Art. 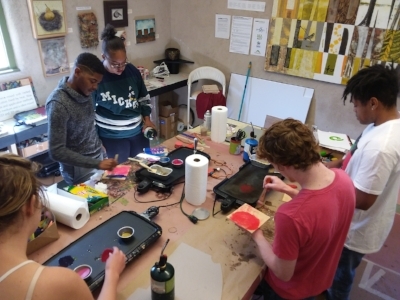 They offer free workshops for kids age 17 and under. Artist: Ellen Komment. Pigmented wax on panel. Discover the wonderful artistic world of wax, from ancient beeswax to the modern crayon. Time flies by as you learn many beautiful applications for this fascinating medium. Just a few of the many exhibits of live creatures at Harrell House Bug Museum. Whether you’re a kid or a kid at heart, a visit to the Harrell House Bug Museum is a must for all ages. Personally, I prefer creepy crawlers to stay a fair distance from me, but I can admit to being safely and utterly fascinated by the bugs, both living and not, at Harrell House. Owners Wade and Oliver are filled with knowledge about almost every creature you can imagine in the insect world. 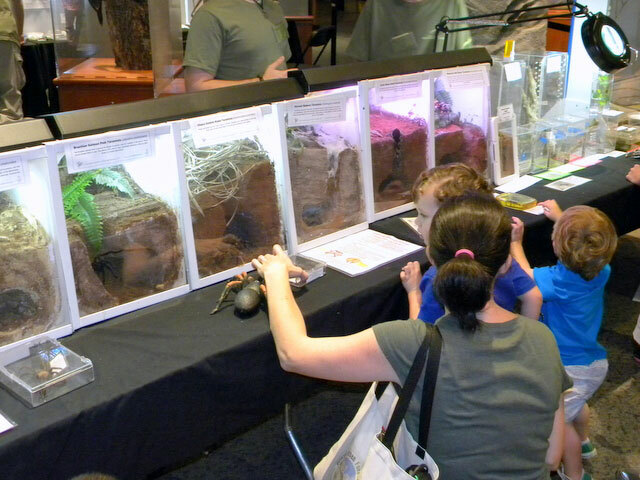 You can observe, learn about, meet and touch a variety of amazing critters. Oliver Greer’s Crawlywood Collection is one of the biggest in the U.S. with as many as 5,000+ insects from around the world – certainly some you will never get the opportunity to see otherwise. Plus, you can get up close to more than 100 live animals, including giant tarantulas as big as a dinner plate, scorpions, and lizards that will remind you of dinosaurs and many more! Kids age 3 – 12, seniors and military are $5, adults $7, kids age 2 and under are free. The Poeh Cultural Center offers free admission for the whole family year-round. They have many wonderful exhibits housed in an authentic adobe building and facility that resembles a traditional pueblo village. In the Tewa Pueblo language Poeh means “path” and the Poeh Cultural Center embodies that pathway. The permanent Nah Poeh Meng exhibit is an immersive experience. Visits include a museum experience with guided tours, seasonal exhibits, a pueblo history exhibit, and a new historic pottery exhibit from the Smithsonian’s National Museum of the American Indian. The permanent exhibit, “Nah Poeh Meng,” meaning, Along the Continuous Path, was created by famous Native American pottery artist Roxanne Swentzell. 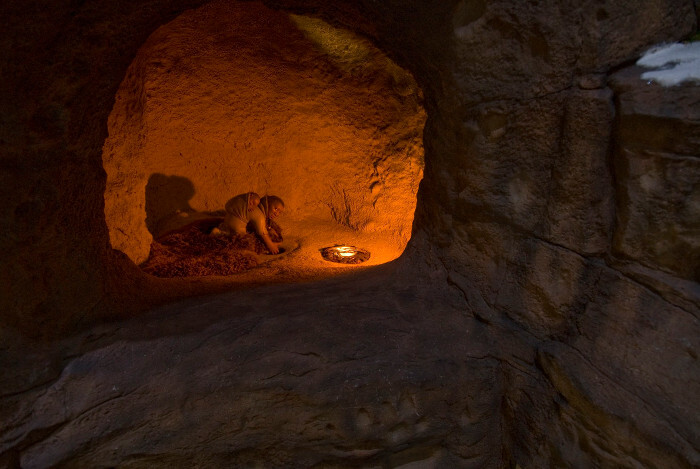 It portrays the history, plight and culture of the Tewa people and is an immersive experience. Poeh Cultural Center is situated on Pojoaque Pueblo land, just a short 15 mile drive from downtown Santa Fe. The Santa Fe Children’s Museum is always fun. A variety of interactive projects are available to fascinate and inspire. There are over thirty-five interactive indoor and outdoor exhibits including giant bubbles, dress-up and puppet theater, a 1.5 acre garden, animals, toddler play area, model trains and more. On Thursday evenings from 4:00 to 6:30 pm, the Museum hosts Family Night, with free admission for children 17 and under. Otherwise, children are $5 and adults are $7.50. Kids up to age 1 are free. SITE Santa Fe, in the Santa Fe Railyard district, is a unique contemporary, installation art experience offering free admission for all on Fridays all day from 10am – 7pm, and Saturday mornings 10am – 12pm. With 25,000 square feet of space, the amazing contemporary works in a variety of mediums are sure to trigger the imagination. They have a cafe, and you can visit the Sky Terrace with its expansive views of Santa Fe skies. 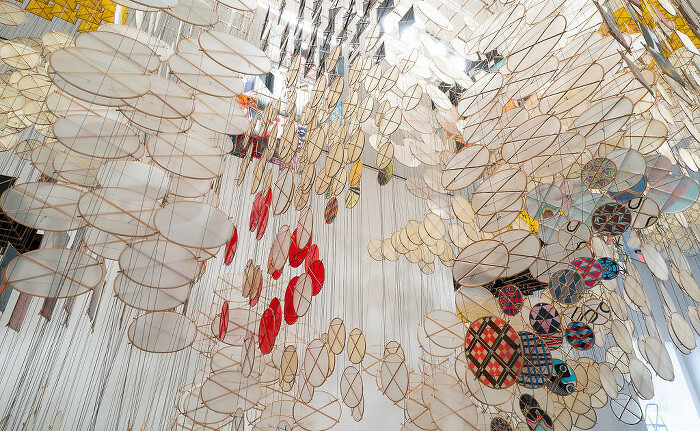 Jacob Hashimoto, “The Dark Isn’t The Thing to Worry About,” 2017-2018, dimensions variable, acrylic, UV ink prints, bamboo, wood, resin and cotton string. Photo by Eric Swanson. Just across the road from SITE is the Railyard with its Farmer’s Market (Saturday and Tuesday mornings), and Saturday’s Santa Fe Artists’ Market. The Railyard is the place to be on Saturday mornings especially from March through December. Access to the markets is free, of course. Las Golondrinas Living History Museum open from June 1st to October 7th-ish, and is free to kids 12 and under, ages 13 – 17 are discounted. Active duty military and their immediate family also receive free admission. In April, May and mid-late October, there is no admission fee; the museum does offer guided tours during these off-peak months. Step back in time and explore this rambling 200-acre ranch. A 1700s complex with a defensive tower, an 1800s home, blacksmith shop, schoolhouse, chapel, water-powered mills, a typical mountain village and more, depict life in Spanish colonial and territorial New Mexico. In the courtyard at Las Golondrinas where bread is baking and ristras are hanging during the Harvest Festival in early October. Las Golondrinas also offers a calendar of special weekend fairs and festivals from June to early October. 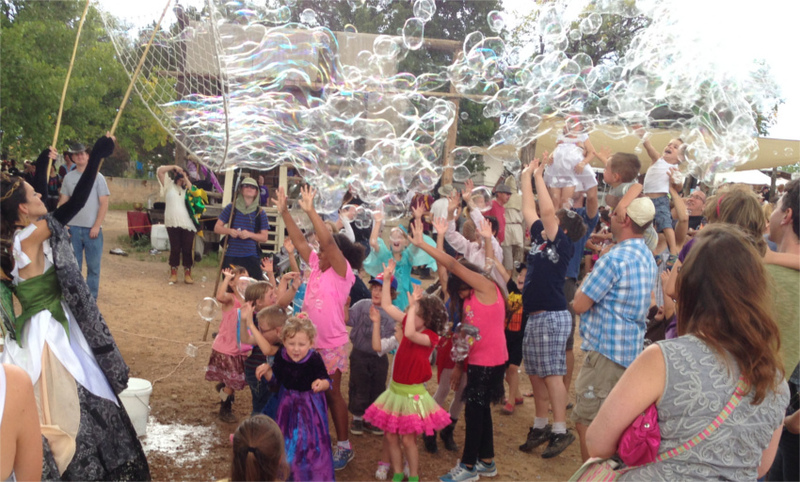 Bubble blowing, during the Annual Renaissance Fair. The Viva Mexico Fiesta in July, Fiesta de Los Niños in late August, early September, the Renaissance Fair in mid-September, and the Harvest Festival in early October, are of particular interest to families from near and far looking to have a fun day out together. Children 12 and under are free, teens receive a discount. (Click link for this year’s events calendar). All the New Mexico State museums offer free admission for kids age 16 and under throughout the year. One of these is The Museum of International Folk Art, where kids can spend a fun couple of hours exploring four wings filled with displays of artful toys and folk art from over 100 countries around the world. They often have a calendar of events that include art projects for kids and families during the course of the year. Click the above link for access to their website and calendar. 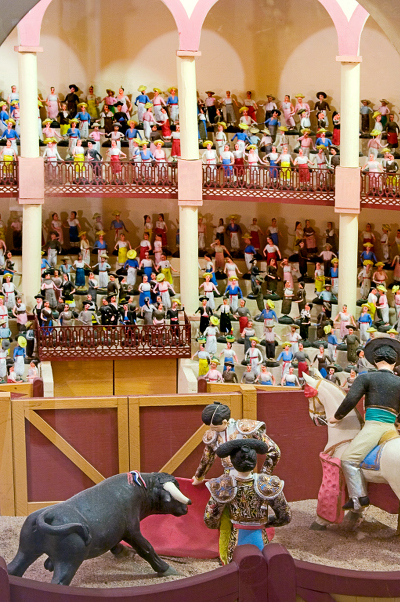 Amazing miniature world of Spanish culture in the Girard Wing at Museum of International Folk Art. The New Mexico History Museum, Museum of American Indian Art & Culture, The New Mexico Museum of Art, also the Georgia O’Keeffe Museum, and The Museum of Spanish Colonial Art are free to age 16 and under. The Anderson-Abruzzo International Balloon Museum showcases a vast collection of hot air balloons, art work, aerial artifacts, and more. 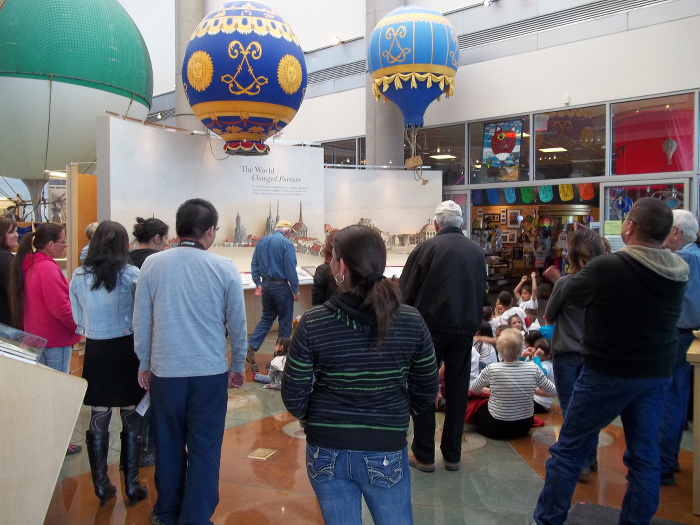 Located in Albuquerque, about 55 minutes’ drive from Santa Fe, you can enjoy a fun exploration of exhibits and learn everything about balloons from 1783 to the present that have thrilled human imagination for more than a century. Adults -$6.00 ($1 discount with valid NM ID), Seniors 65+ -$4.00. Children age 6-17-$3. Children 3 and under are free. And don’t worry about food. Plenty of hotels and restaurants, including Santa Fe Bar & Grill, The Plaza, Cafe Sonder, La Choza, The Shed, Casa Chimayo (get 10% off with mention of Santa Fe Selection), Del Charro, Mangiamo Pronto, and many more offer special discounted kid’s menus, year-round. Every Wednesday at The Cowgirl, kids age 12 and under eat for free from 4pm on, with paying adult. The jungle gym is a great spot for the kids to play while parents sip margaritas, and chat in the shade. That’s just for starters. 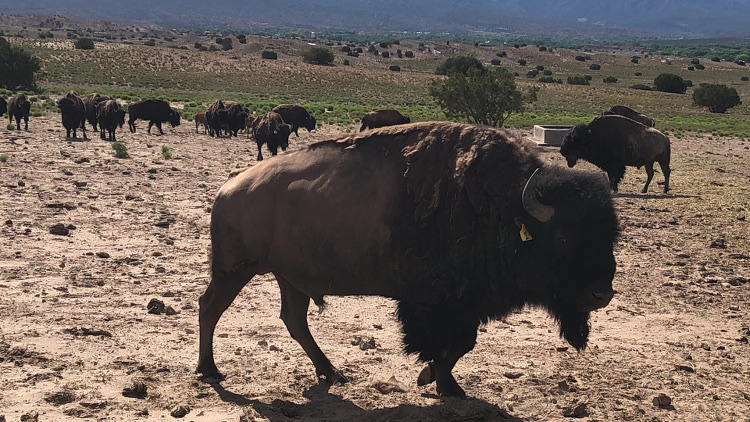 There are more options, but this should help you get the idea that Santa Fe has plenty of fun things to do with kids, so you can enjoy a great vacation with the whole family and create lifelong memories. Here’s a link to Kid Stuff in Santa Fe. Thank you for reading my blog article. 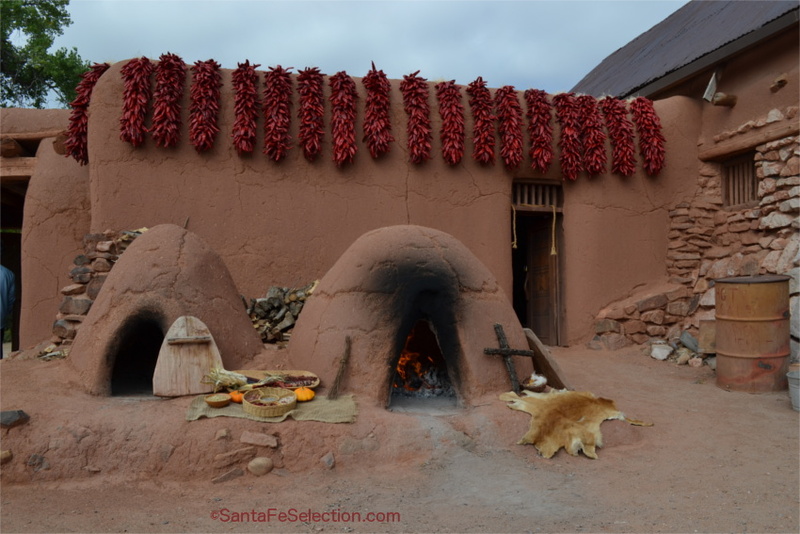 For more information go to SantaFeSelection.com, or to receive your free Mini Guide Map within the U.S., please email your complete address: Maria@santafeselection, or call (505)470-2991.